Aura of Puppets or AofP is a network, coalition and an umbrella for contemporary puppet theatre. Aura of Puppets has currently 47 members who are working as a puppetry professionals in various positions. 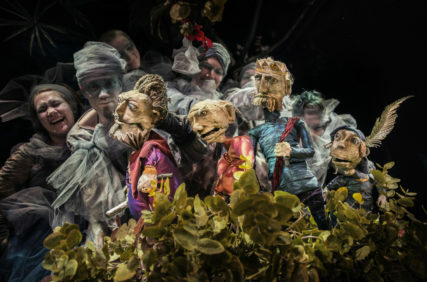 Aura of Puppets has its roots in Turku and most of the members are actively involved in the art scene of the puppetry capital of Finland. Aura of Puppets offers the viewers and other clients diverse know-how in the form of new puppet theatre and customized services. Explore the creators and artists of Aura of Puppets!